It's good when Android phones get system update, as it makes the phone to function very efficiently. I love it when OS gets update cos it keeps the system running well and fine. 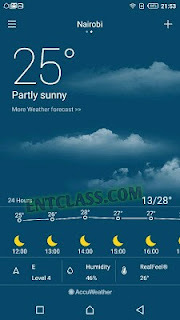 Android phones that doesn't get system update can't be compared with phones that do get update. The performance and functionality tends to misbehave and eventually get you bored. Infinix set to rollout Android 7.0 Nougat to the Infinix Note 3 Pro. This is really a good news and i must give a kudos to Infinix for bringing Android N to Infinix Note 3 Pro. If you use Infinix Note 3 Pro, get set for the update might hit your device via OTA anytime soon or later. This means there's still hopes for other Infinix devices to receive Android Nougat update. We hope to see Tecno that hardly release System updates to release their own Nougat update too. 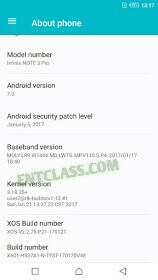 Infinix Note 3 Pro Android 7 Nougat update. 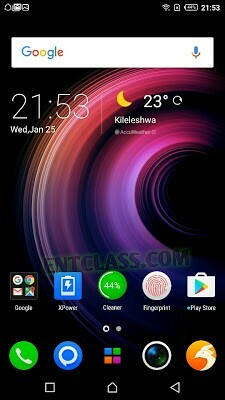 Download Infinix Note 3 Pro Nougat update. Infinix Note 3 Pro custom / stock ROM.